The beauty industry has played a major role in Bailey’s life growing up. Watching her mother’s successful career in the beauty industry take off inspired Bailey to jump into it at a young age. Bailey continued her career at Spalon Montage as an Operations Manager after receiving a bachelor’s degree at Crown College in St. Bonifacius, Minnesota. After nine successful years there, she explored a new career in the healthcare industry, which included working at Park Dental and Allina Health. Two years in the healthcare sector lead her to the realization that her true passion lies within the beauty industry. Accepting a position as the 3S Manager at Simonson’s felt like “coming home.” She believes that if you are passionate about what you do, work won’t feel like a job, but a gratifying journey. 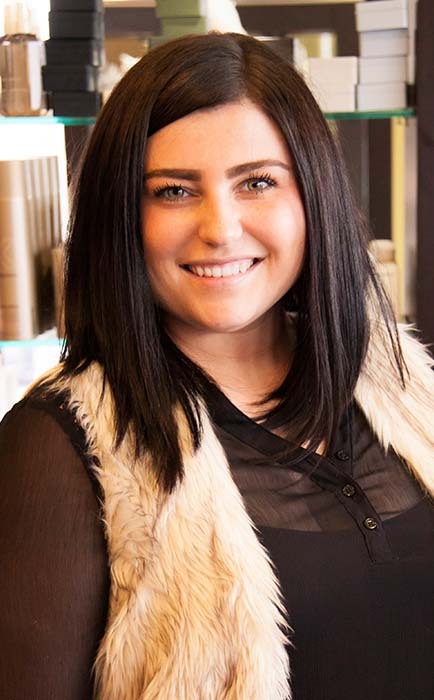 Witnessing the transformation a guest experiences when their confidence and inner beauty soars because of their enhanced “outer beauty” is the single biggest reason Bailey finds this profession so fulfilling. Bailey contributes her success to having exceptional role models and leaders throughout her life who continue to inspire her today. As life moves forward, Bailey feels that it isn’t so much about the places you go, but rather the people you share it with. When she isn’t working, she enjoys spending time with her significant other as well as her close friends. You can find her Up North relaxing or spending time out on the lake – whether it’s open or frozen. You can also catch her at home curled up with a good book, a new craft, or chasing her two pugs Rockie and Opie around.